If your workers’ compensation claim has been denied, it is important to understand your rights and that this is far from uncommon. Workers’ compensation claims are vigorously denied. Those who have attempted to obtain benefits know this well. 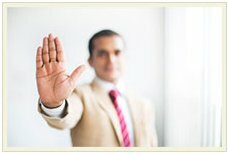 The most important thing you can do if you have been denied an injury claim is to reach out to a skilled attorney. Regardless of the denied claim issue with which you are faced, we are ready to bring the comprehensive knowledge and expertise that we have honed in more than 20 years of workers’ compensation practice to advocate for you. We will partner directly with you to understand your injury, circumstances and all other pertinent information around the denial of your claim. From there we will make any corrections necessary, collect any further needed documentation and information and put together the strongest appeal possible. Because there are deadlines and time frames related to these issues, it is important to reach out as soon as possible. We look forward to hearing from you.